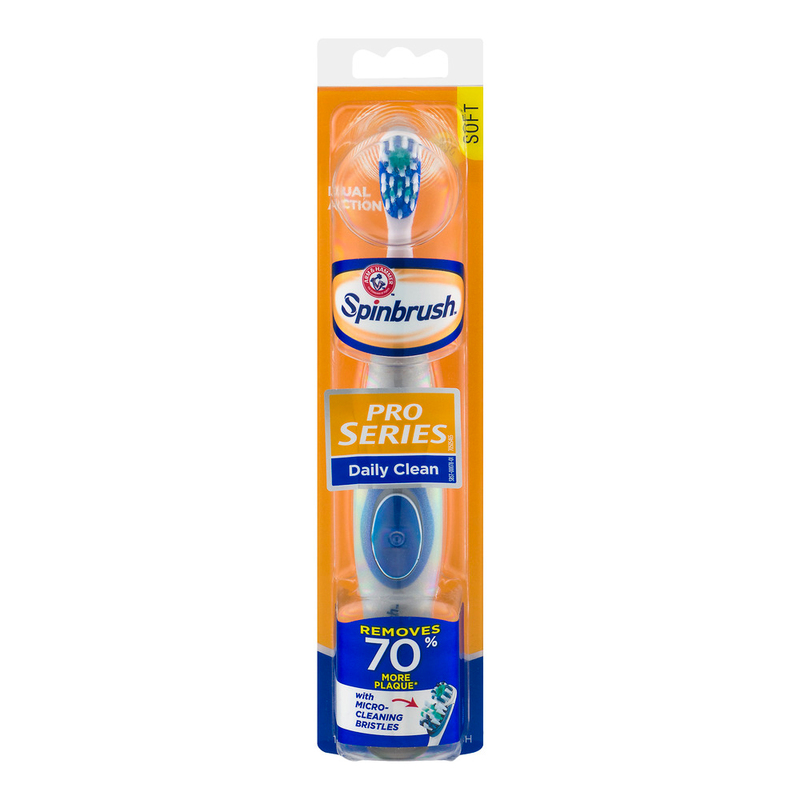 Arm & Hammer Spinbrush Pro Series Daily Clean Soft, 1.0 CT New improved brush head has 2 moving heads with micro-cleaning bristles to remove up to 70% more of the hard-to-reach plaque than a manual brush. Includes 2AA batteries. New improved brush head ! 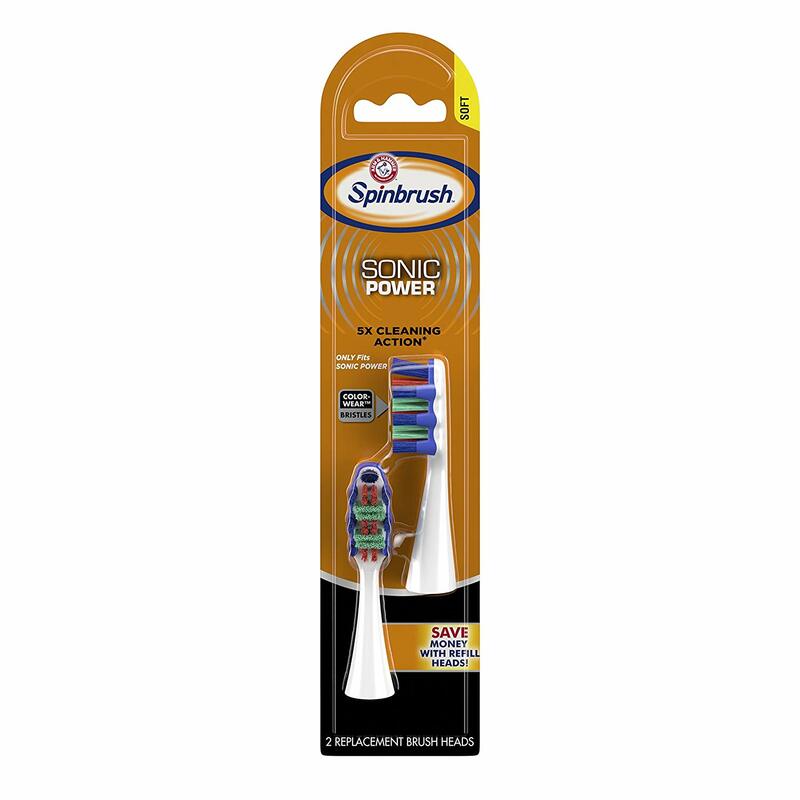 Optimized brush/head linkages for our quietest SpinBrush ever!